The Russian launcher orbited the first 2 operational satellites of the future European Galileo navigation system Friday 21 October. 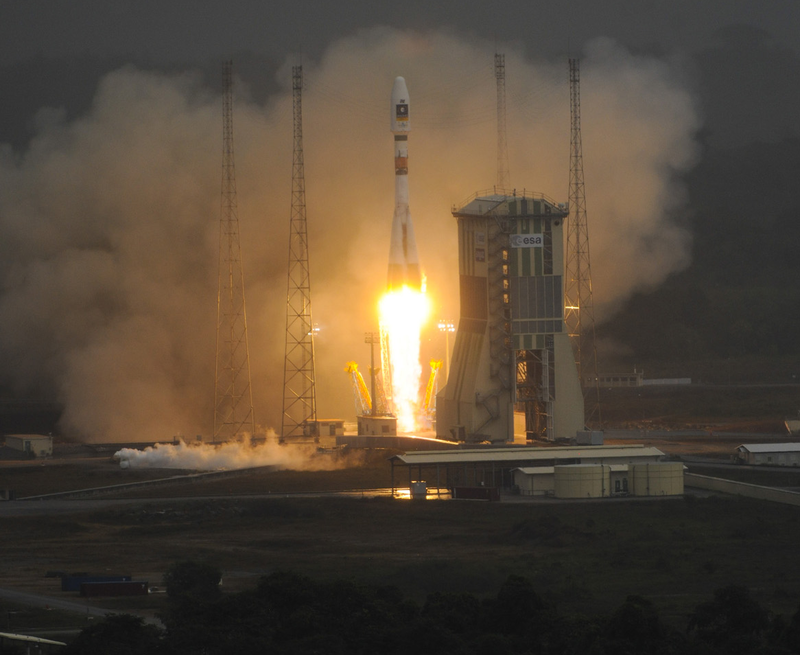 The Soyuz launcher lifted off for the first time from the Guiana Space Centre. Credits: ESA/CNES/Arianespace/S. Corvaja, 2011. The legendary Russian Soyuz launcher lifted off for the first time from the Guiana Space Centre Friday 21 October at 12:30 CET carrying the first 2 operational satellites of the Galileo satellite navigation system, Europe’s answer to the U.S. Global Positioning System (GPS). All phases of the flight sequence went smoothly. The 3 lower stages of Soyuz enable it to escape Earth’s gravity before they are jettisoned just under 10 minutes after lift-off. 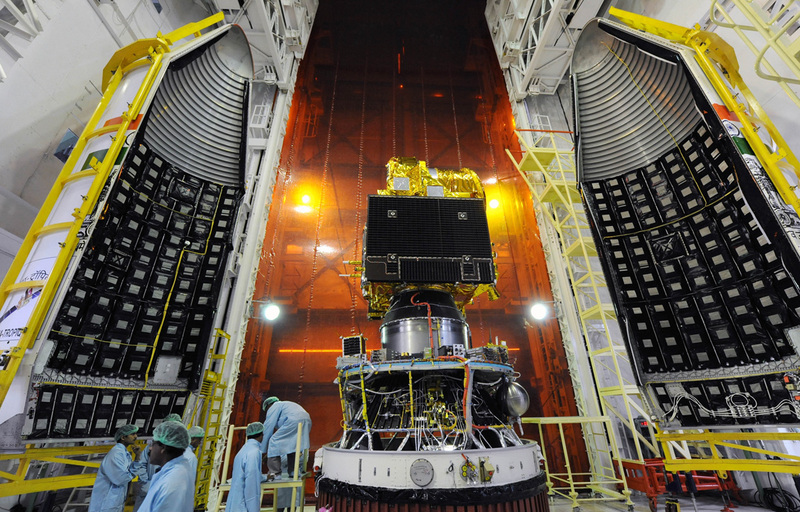 The Fregat upper stage, with the fairing encapsulating the 2 satellites, then cuts in to boost the vehicle into transfer orbit. From there it begins a cruise phase lasting over 3 hours before delivering the final thrust needed to take the satellites into their final operating orbit at an altitude of 23,222 km. The flight lasted a little under 4 hours in all. Flight sequence of Soyuz from the Guiana Space Centre to orbit the first 2 operational satellites of the future European Galileo satellite navigation system. Credits: Arianespace. The Jupiter control room at the Guiana Space Centre. Credits: CNES/ESA/Arianespace/Optique Vidéo CSG. This first Soyuz flight from French Guiana is the culmination of 45 years of cooperation between France and Russia. The Soyuz in Guiana project is led by the European Space Agency (ESA), for which CNES organized construction of the launch pad and ground infrastructures. The launcher elements are shipped to French Guiana from Russia. 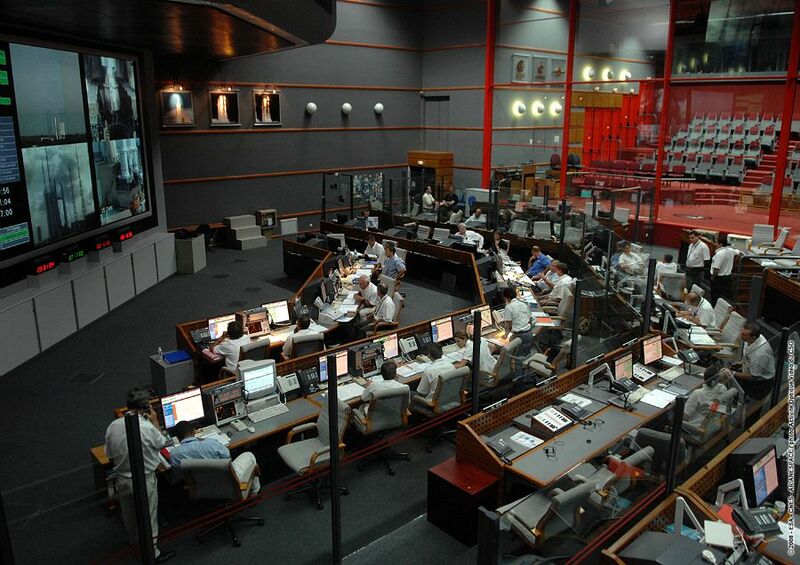 Like all other launch operations at the Guiana Space Centre, Soyuz flights are under the ultimate responsibility of CNES teams in the Jupiter control centre. They have the authority to scrub a launch at any time if an anomaly is detected. The next Soyuz launch will orbit the first Pleiades satellite, which will provide one-metre-resolution Earth imagery. The launch is scheduled for late December.